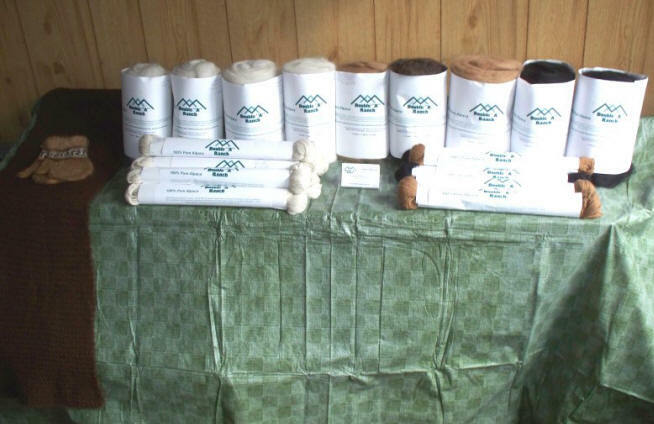 Alpaca Products: Yarns, Rovings for spinning, Felts and more! Natural fibers are a renewable resource! Use your purchase dollars to support natural, renewable fibers that are not made from synthetic materials or petroleum products. Natural fibers are warmer, breathe better, are naturally fire retardant, require less chemicals for production which means less chemicals in our water sources and are naturally biodegradable. 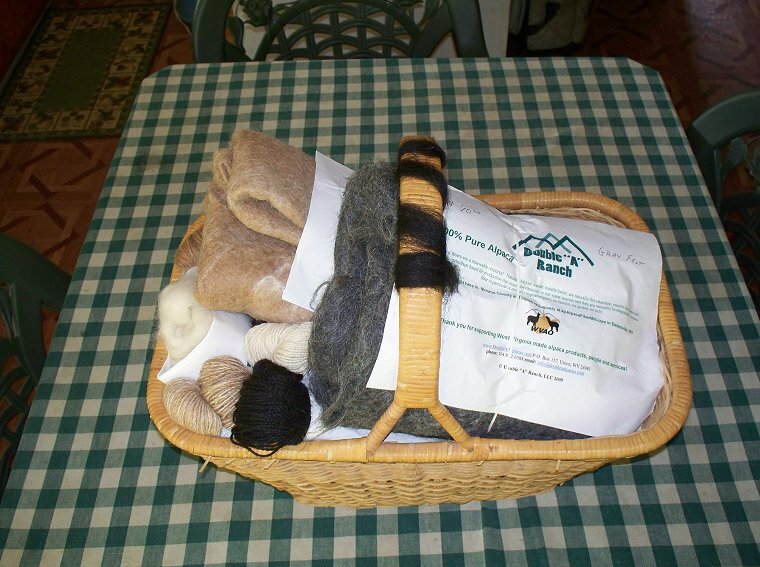 See for yourself how wonderful alpaca yarn is! Simply select yarns from the drop down menu and click add to cart you can click "continue shopping" and add more items if you'd like. 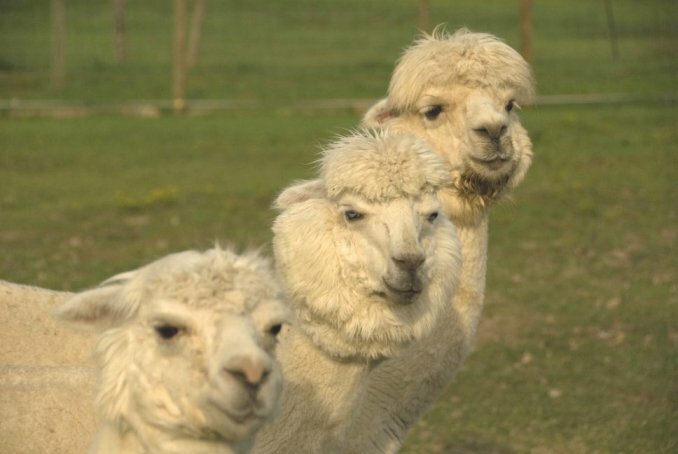 Thank you for supporting USA Alpaca products! 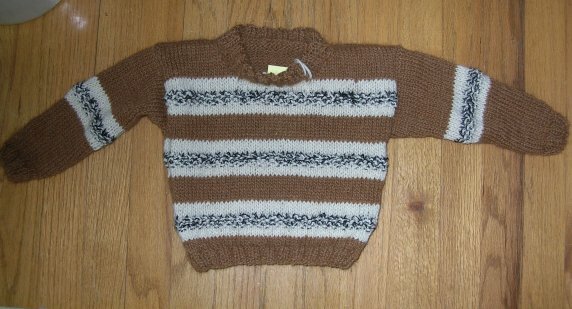 Make beautiful baby sweaters and blankets with natural colored yarns, they never run or fade! 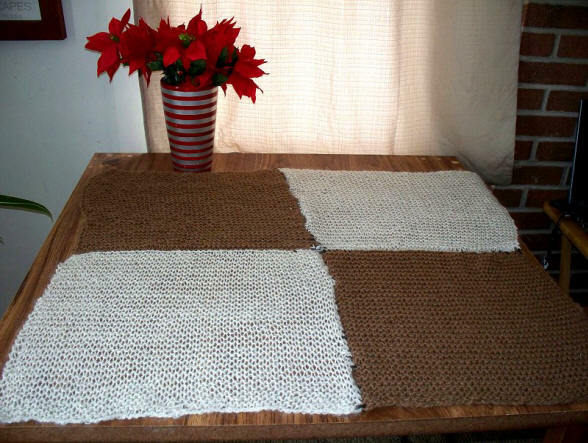 White yarn is also available and can be dyed to any color. 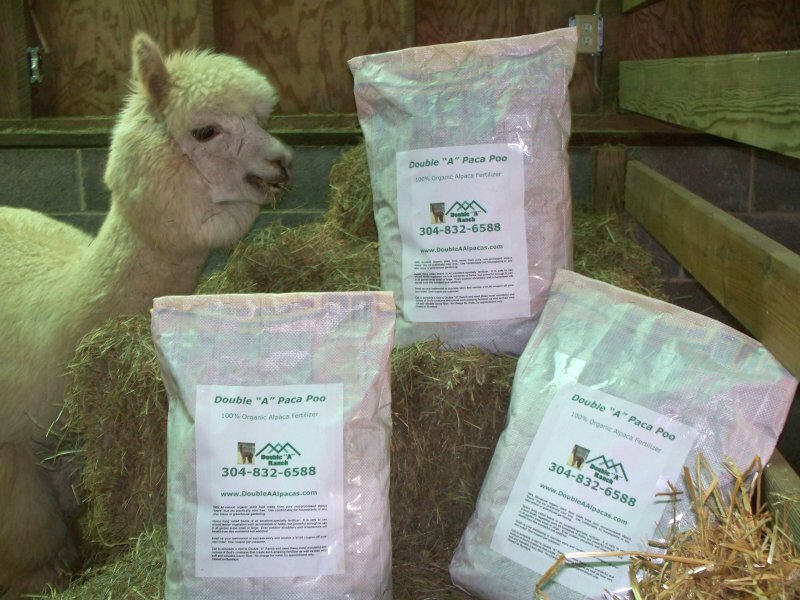 • Fertilizer - Alpaca beans are very low odor (practically none!) moderate nitrogen and high in other nutrients that make a fantastic fertilizer. No mixing or processing needed we use it "raw" on our garden and have seen the results first hand. 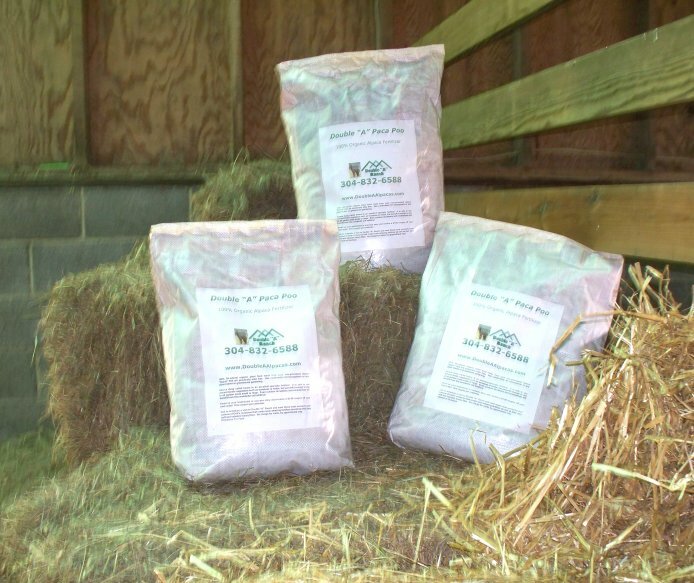 Ask us about Double "A" Paca Poo, prices vary depending on local delivery. You are welcome to come pick up a sample pack!